Single Phase 10 Amp Extra Long Heavy Duty Industrial Extension Leads. 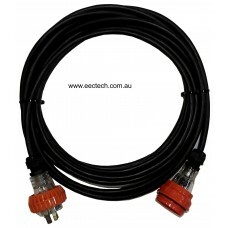 The 10 amp “extra long heavy duty” industrial extension lead is suitable for indoor, outdoor and harsh environments. length from the outlet to the appliance than the “heavy duty” lead. 10 Amp 10m 3 Pin Extra Long Heavy Duty Single Phase 240V Industrial Extension Lead. Cable CSA:2.5mm²R. 10 Amp Australian Standard Single Phase(240V) Extra Long Heavy Duty Industrial Extension Lead..
10 Amp 20m 3 Pin Extra Long Heavy Duty Single Phase 240V Industrial Extension Lead. Cable CSA:2.5mm²R. 10 Amp 30m 3 Pin Extra Long Heavy Duty Single Phase 240V Industrial Extension Lead. Cable CSA:2.5mm²R. 10 Amp 40m 3 Pin Extra Long Heavy Duty Single Phase 240V Industrial Extension Lead. Cable CSA:2.5mm²R. 10 Amp 50m 3 Pin Extra Long Heavy Duty Single Phase 240V Industrial Extension Lead. Cable CSA:2.5mm²R.